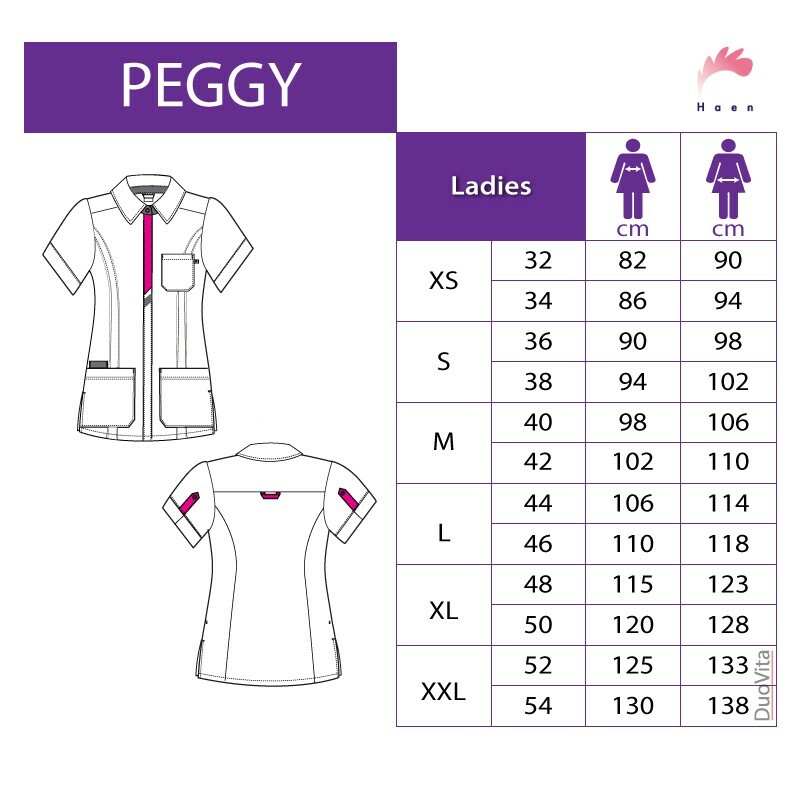 Nurse Uniform Peggy has a form fitting shape and shirt collar. Nurse Uniform Peggy has a form fitting shape and shirt collar. Peggy stands out due to the colourful details and modern design. 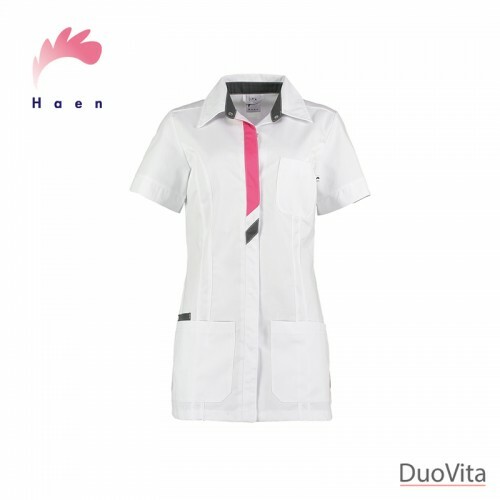 This uniform has concealed snap button studs and is approximately 29,5" (75cm) long. 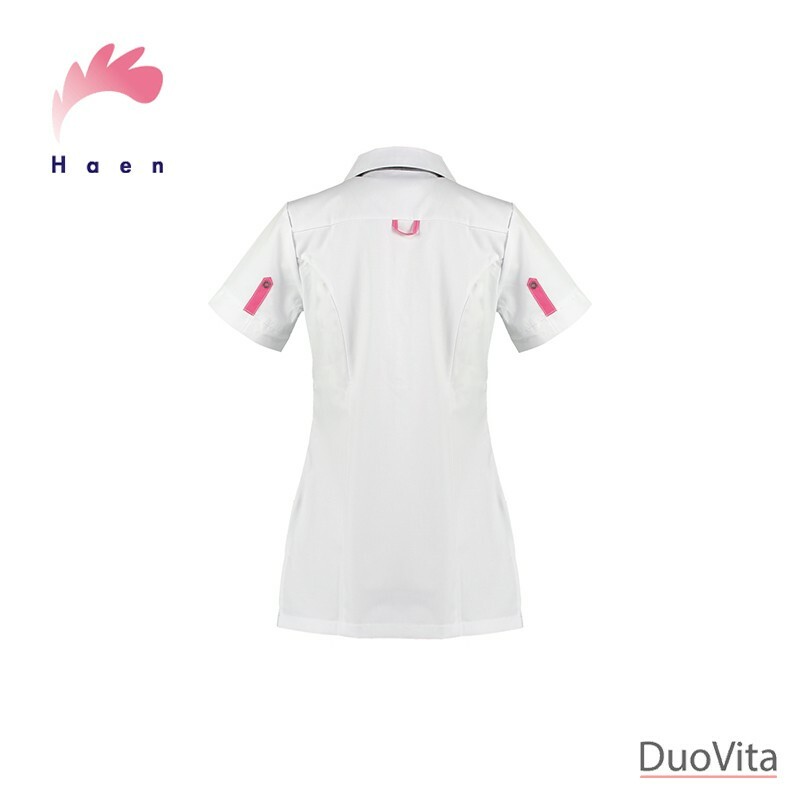 Slits on both sides ensure ease of movement. With four different pockets you will have all your utensils at hand.